Wave runners provide an easy way to see mantas, sea turtles humpback whales and many other species. Best of all you can visit all of the beaches and islands of this area in seconds. 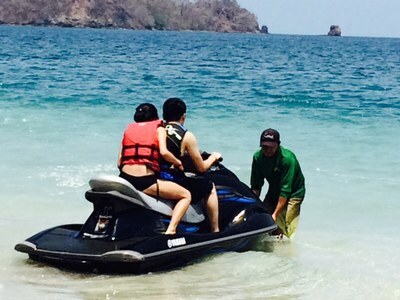 We offer high performance Yamaha 1200 cc Waverunners. This 4 stroke work-horse boasts amazing handling without loss of comfort. These machines never disappoint. Don’t miss the opportunity to know some of our beautiful beaches in just 1 hour! You will be able to enjoy visiting some beaches in the south like, Brasilito Beach and then Conchal Beach, we will continue with the north beaches like, Flamingo, Potrero and La Penca Beach. One of our most popular tours! Our guide will take you to the beaches more beautiful of the north coast from Flamingo Beach, First you will see Potrero beach where you will be able to appreciate the small Bay that is just in front of this beach. 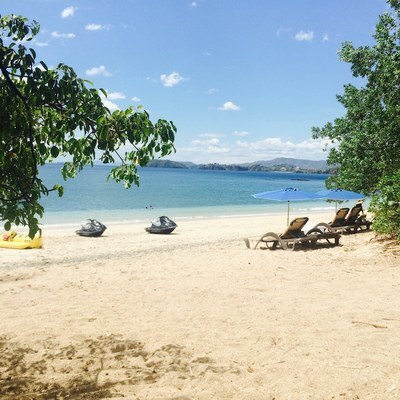 Then you will visit La Penca beach, Sugar beach and Amor Beach, a white sand beaches special for swimmers. At the way back you can see the Marina in front of Flamingo beach, there you can see the nice fishing yachts. 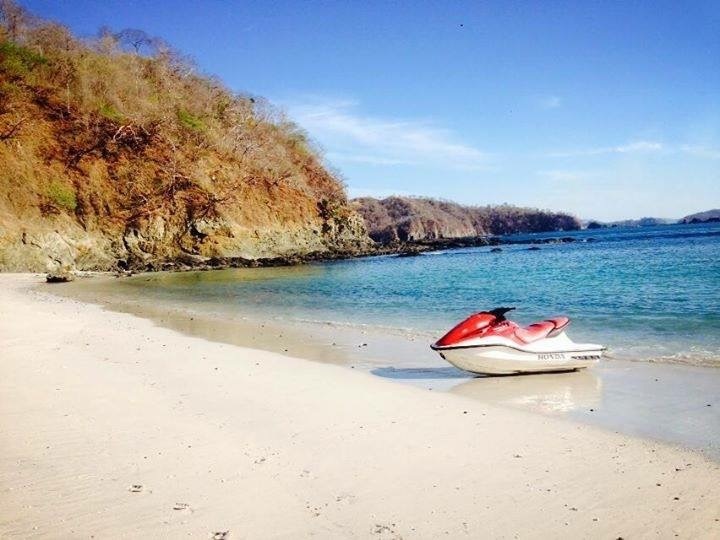 You can enjoy the view of Playa Conchal, Brasilito and Flamingo on a ride on a banana boat for 15 minutes. To schedule a tour, contact us. The driver has to be 18 years or older. The passenger has to be older than 8 years old. The customer has to leave a credit card deposit guarantee of $500 per Jet ski. Minimum 2 drivers to can go in a tour. We will reserve the right to suspend any drivers that are causing trouble or do not follow the guide’s instructions; this is in order to avoid any type of accident.